Hostage-taking, particularly the capture of Westerners, has emerged as a prominent jihadist tactic in recent years. In Syria and Iraq, ISIS has executed four Americans it took hostage. In Pakistan, Al Qaeda has held Warren Weinstein, a 73-year-old aid worker and contractor, hostage since 2011. Many European countries have agreed to pay the demanded ransoms for their kidnapped citizens, while the United States refuses to do so. With the Obama administration conducting a months-long review of American hostage policy, what can be done to return Americans held hostage abroad? Should the United States negotiate with and offer concessions to hostage-takers or pay ransoms? Debra Tice, the mother of Austin Tice, an American journalist who has been missing in Syria since 2012, has wrestled with these complexities in America’s hostage policy on the most personal level. She has previously written about her ordeal, saying: “The oft-repeated cliche is ‘there is no handbook’ for what we are going through. That hardly begins to express the challenges we face. In reality, no government policy and no established support network exist to help families navigate the many questions suddenly requiring an answer.” Few confront these questions in as direct a manner and with as much on the line. Barak Barfi is the spokesman for the family of Steven Sotloff, an American journalist executed by ISIS late last year. In his role, Barfi communicated directly with ISIS and debriefed a number of the European hostages who were incarcerated with Mr. Sotloff. He is also a research fellow at New America, specializing in Arab and Islamic affairs. Gary Noesner spent 23 of his 30 years in the FBI as a hostage negotiator and the last ten years of his career as the chief of the FBI Crisis Negotiation Unit. He was heavily involved in numerous hostage, barricade, and suicide incidents, as well as over 120 overseas kidnapping cases involving American citizens. In his book, Stalling for Time: My Life as an FBI Negotiator, Noesner tells the story of his career and the cases he has dealt with. As a senior vice president for Control Risks, an international risk consultancy, Noesner spent years working a kidnapping case involving three American defense contractors taken hostage by Colombian rebels. 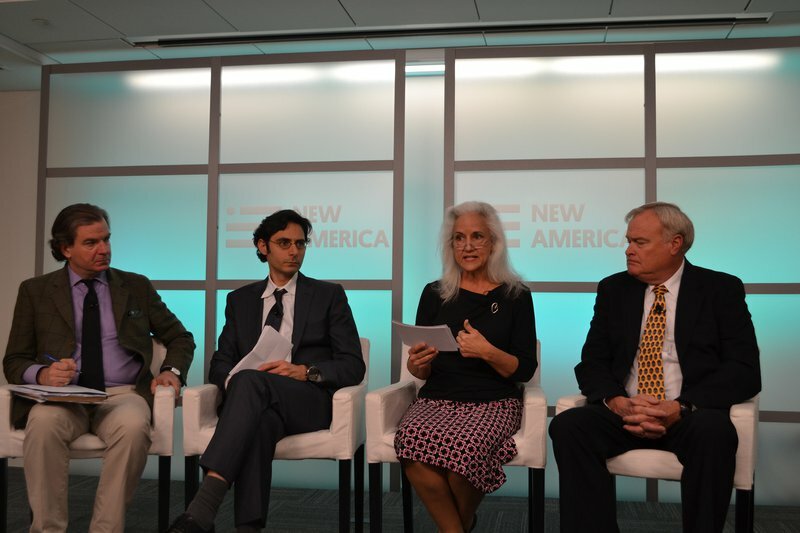 New America is pleased to welcome Ms. Tice, Mr. Barfi, and Mr. Noesner for a discussion of American hostage policy and the challenges of returning Americans taken hostage abroad. Join the conversation online using #AbductedAbroad and following @NatSecNAF. Copies of Noesner’s book will be available for purchase by cash, check, or credit card.